And so this is Christmas and what have you done? Another year over, and a new one just begun. Etc. etc. 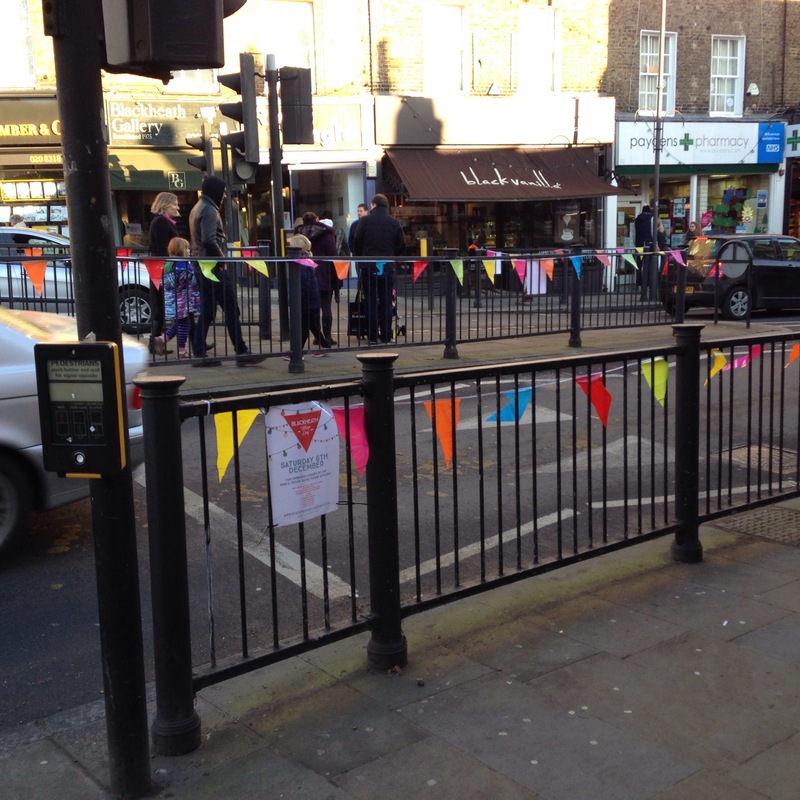 Yes, festive fever has reached Radical Towers and in celebration of our first year of ‘blogging we bring you the Best of Blackheath Awards – our sherry-fuelled account of the village winners and losers of 2014. Enjoy! Winner: Le Bouchon. It’s fair to say we’re big fans. The only regret is not being able to spend even more time in LB. Despite some (inevitable) mis-givings it already feels like an established part of the village. Read our first review here. Winner: Parés. 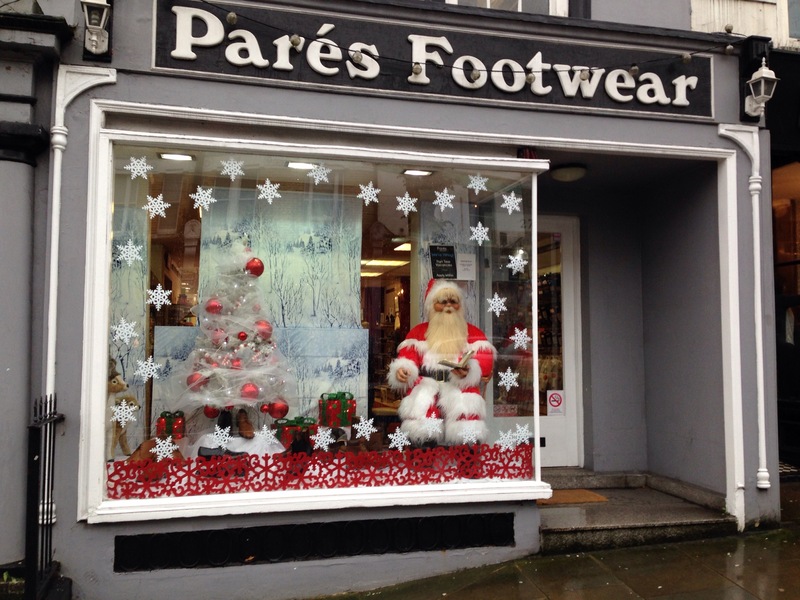 Parés is just a great Blackheath Village institution. The service in there is second to none and this combined with having it on the door-step means the chore of buying shoes is rather less tedious than it might. 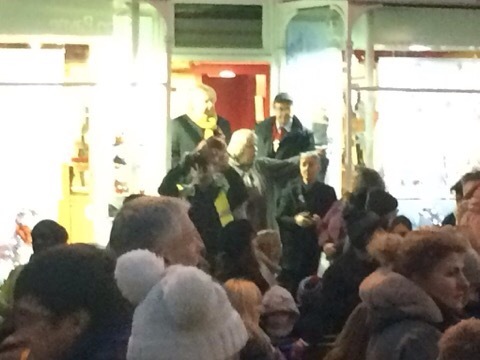 And, of course, this is the erstwhile host of the annual Christmas light switch-on. Winner: the pond men. Some debate about this one but in the end we’ve gone with the volunteers who maintain the Hare and Billet pond and who so persuasively put their case at the OnBlackheath public meeting. Special mention to the chap who bought the Bookstore – well done you. Winner: Southeastern. Much easier one to call, though the presence of the Big Issue Chap in both hero/villain categories is a sign of the mixed opinions on him amongst your Radicals and of several heated discussions about his charm, or otherwise. Winner: OnBlackheath. Controversial but in the end a real success, and – it’s back in 2015! Winner: The Crown. Frankly each of the village pubs is pretty decent, and any one would be a deserving winner – and we should know, having spent a good part of 2014 in each. Special mention to the British Oak which has re-opened recently with a great selection of pies and decent local music. 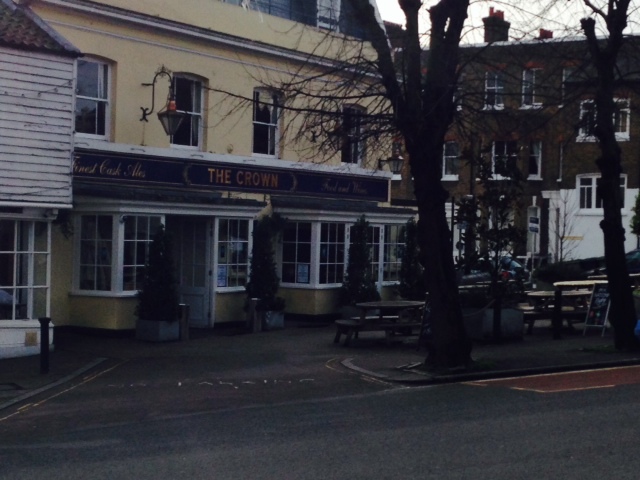 But, for location, village spirit (witness the central it played in the fireworks and Village Day) and decent bar staff The Crown takes it. Winner: Lenny Henry wins after being sighted by the Radicals supporting local restaurant Bianco43 and has also been seen patronising the Hare and Billet. Winner: Grace Jones. Blackheath. A definite winner! Winner: Hamptons wins for the most generous serving! 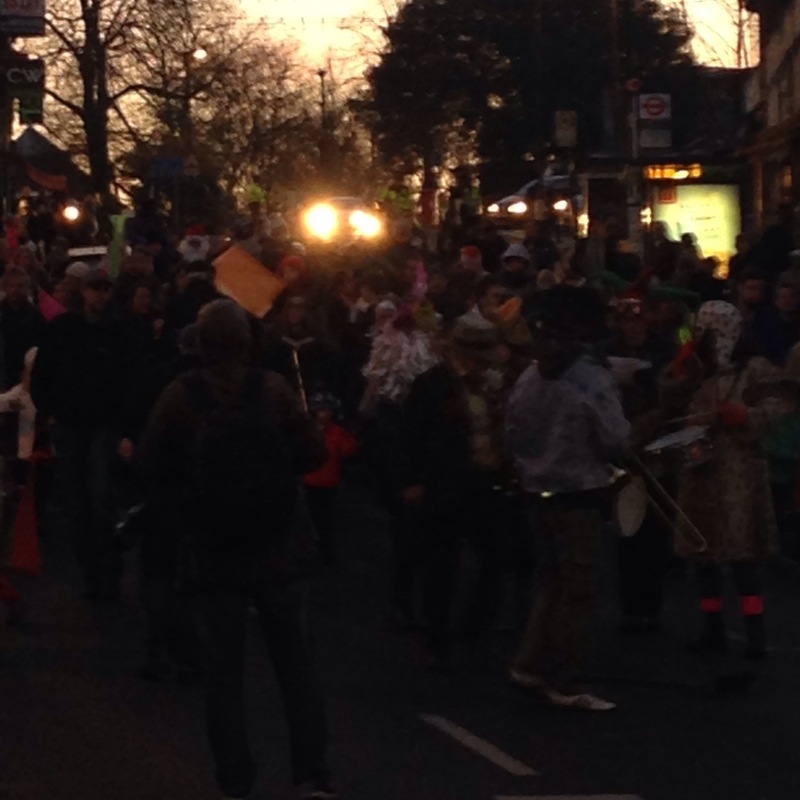 And we should know, having done several laps round the block on Village Day. Winner: yes, Southeastern – but things are looking up for 2015 with trains till midnight from Victoria. 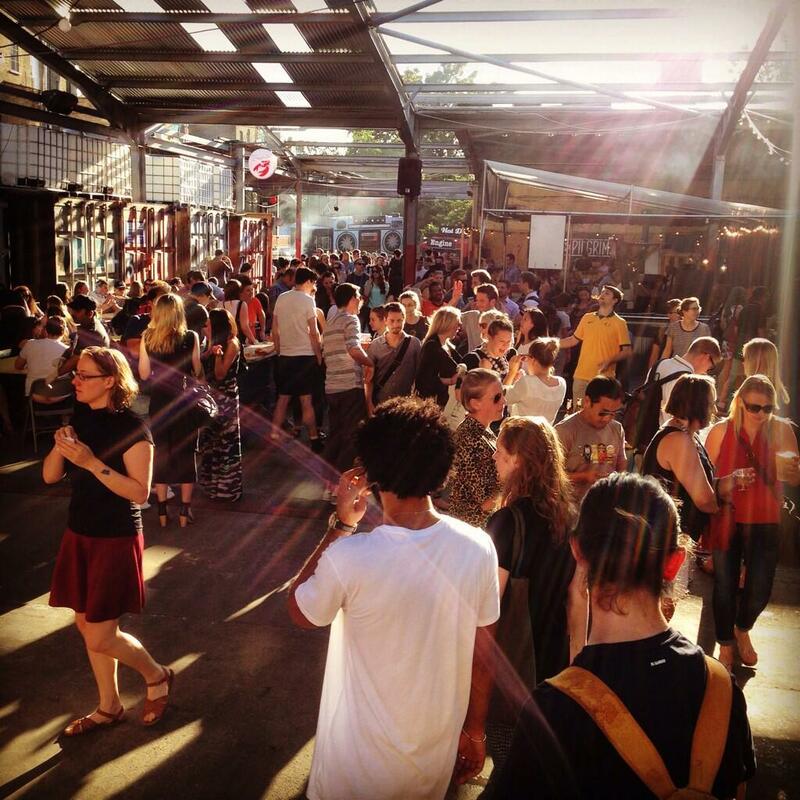 Winner: Street Feast wins – a great addition and some would say brave move to open up in Lewisham. But what a great success. Winner: Zero Degrees – you have to go via Narnia to get there. 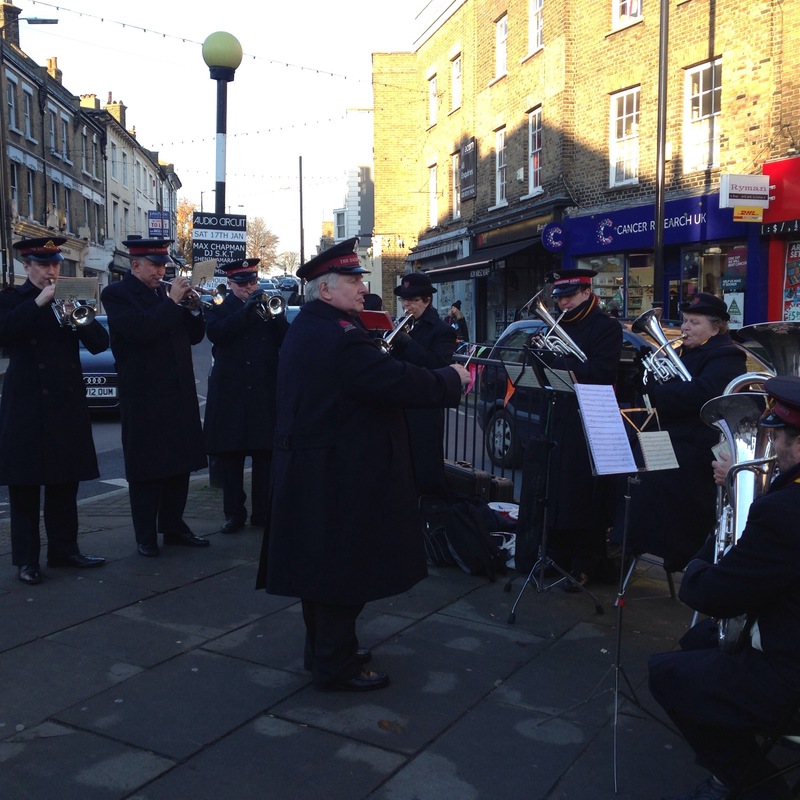 It really was hard not to feel very proud of the village and fortunate for living in it on Saturday during the first Blackheath Village Day. 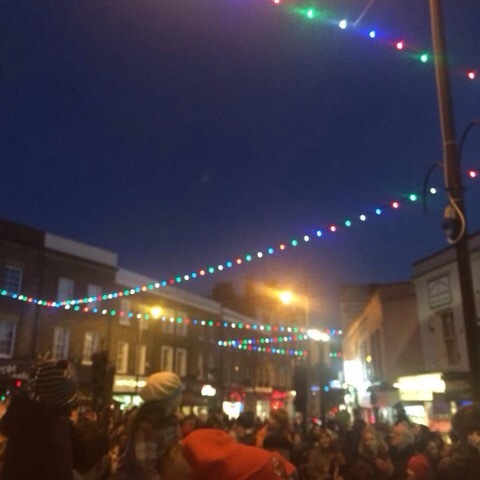 Having attended many Christmas lights switch on ceremonies, and always enjoyed them (even last year’s rather improvised effort), your Radicals feel certain that last Saturday was, well, the best Christmas ever. 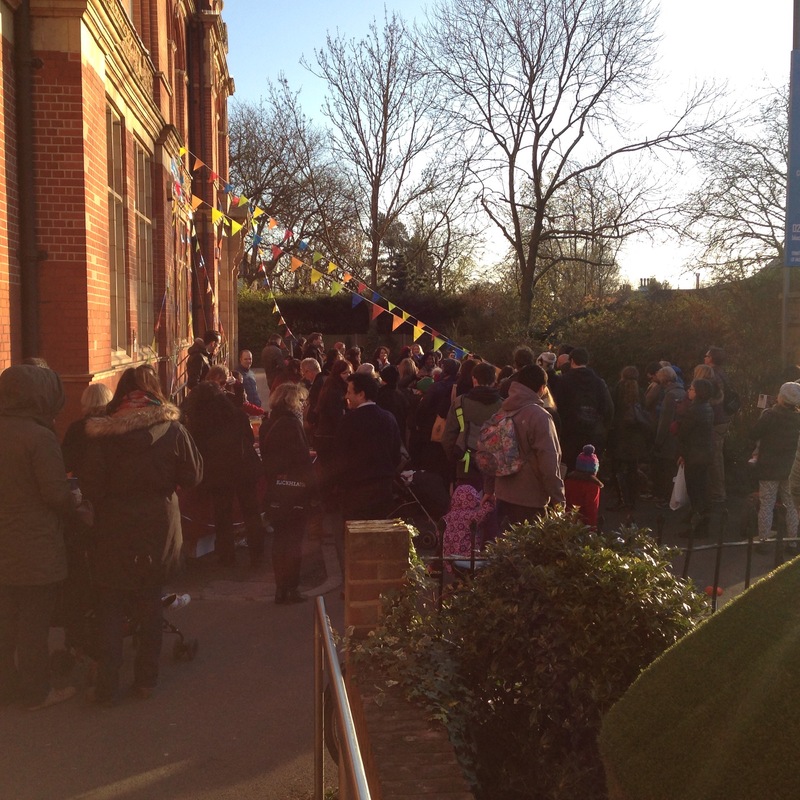 Thanks are due to lots of people, including: the local businesses who contributed to the new lights and who got in to the spirit of the day (special thanks from us go to all those offering mulled wine and mince pies – yes, we were the ones coming back for seconds and thirds…); the Conservatoire; Blackheath Halls; the Blackheath Society; John Payne estate agents (whose fabric bags are sure to become a collectors’ item); everyone who performed on the day; Lewisham Council; councillor Kevin Bonavia; local MP Heidi Alexander; Parés shoe shop and its superb manager; and, most certainly not least, Mr Nick Ferrari. 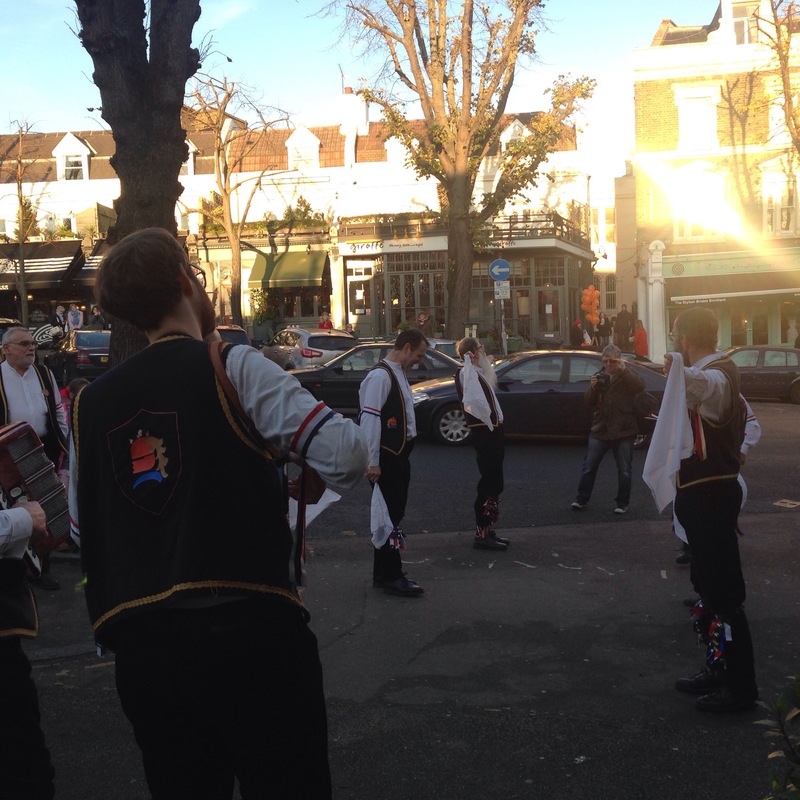 Next year’s hobby is sorted – Morris Dancing! 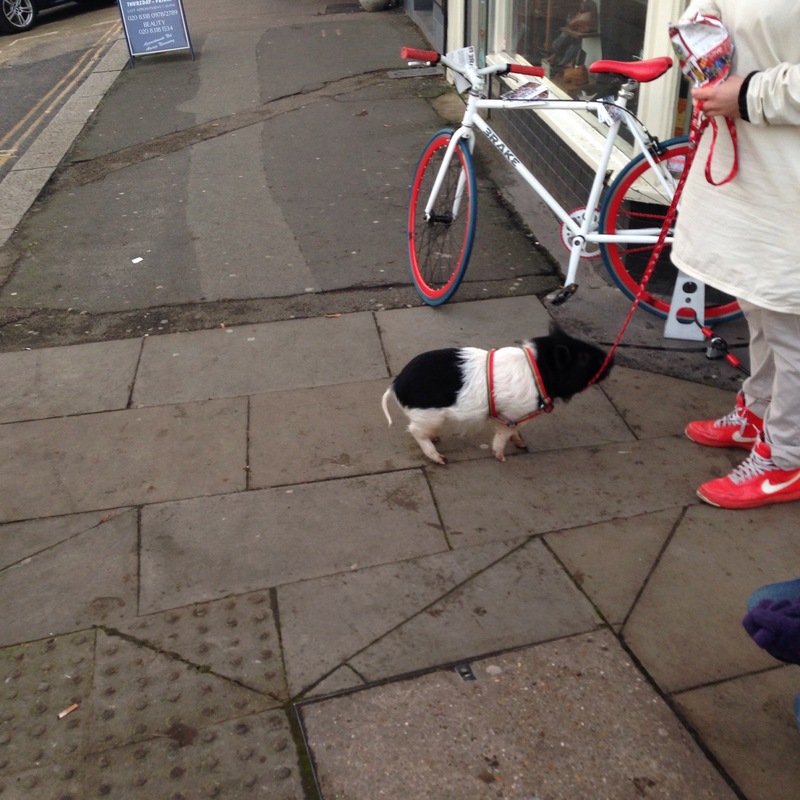 Yes, it’s a pig on a lead. What more is there to say?